Offers access to media-making tools for artists at a low cost. Funds for projects that promote social change. and $1,000 awards in dramatic, experimental, documentary, animation. Western states only, funds films/videos that promote the use of nonviolence, they support films/videos that are unable to secure funding from traditional sources. Call, write or check website for application instructions. Three-week training program for mid-career women in the media arts to learn about narrative directing and to apply for production grant positions. Acquires finished programs and develops/produces original programming concepts. Undertakes the distribution of programming that is tailored to specific interests or demographics. Promotes programs that inform and enrich dialogue on public affair issues. Focuses on Post 9/11 world and affects on political and social realities. Fosters public policies, human service reforms, and community supports that more effectively meet the needs of today’s vulnerable children and families. Provides partial support for major educational series assured of airing nationally by PBS. The Foundations prefer proposals for “capstone” grants which assure completion of production funding. They have equipment access available at subsidized rates to artists, community organizations, and people on limited incomes. This supports cultural/media film/video on issues involving lesbian, gay, bisexual, and transgender issues. Offers up to $1,000 per grant, open to women whose projects speak for peace and social justice. San Francisco Bay Area only, with the exception of the Phelan Award, which is available to artists born in California, regardless of current residence. They grant semester-long fellowships for scholars or artists to work at the Liguria Study Center in Bogliasco, Italy, near Genoa. The Fellowship is designed for advanced creative work or scholarly research in archaeology, architecture, classics, dance, film or video, history, landscape architecture, literature, music, philosophy, theater, or visual arts. 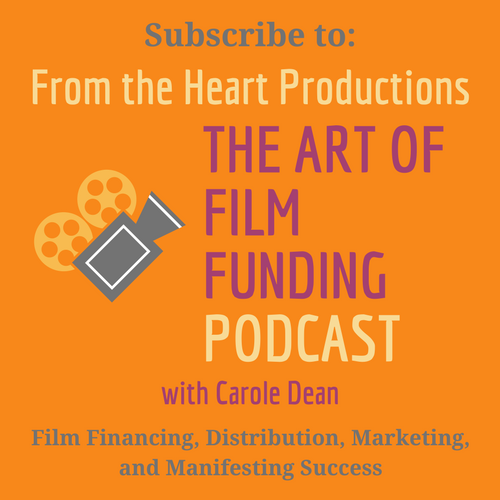 Offers grants & programs for film & media makers. It is designed to encourage documentarians of the new millennium to create enduring images and text of contemporary California. Private, nonprofit organization dedicated to advancing cooperation between nations and promoting active international engagement by the United States. Founded in 1910, its work is nonpartisan and dedicated to achieving practical results. Competitive awards presented annually to students whose research and production projects meet rigorous standards of academic scholarship. Up to $4,000 is available for film, video, or multimedia production and up to $1,000 is available for research projects in historical, critical, theoretical or experimental studies. Multiple Grant Programs. Also provides services on a sliding scale and may select one or two projects a year to receive services for free. Seeking proposals on an ongoing basis from independent producers for the production of documentaries on contemporary issues. Emergency grants for artists in all disciplines needing help with rent, medical expenses, utility bills, fire damage, etc and grants up to $1000. Provides scholarships to outstanding undergraduate students in television and film production and postproduction Grants for outstanding MFA projects at the University of California, Los Angeles and the University of Southern Ca. A bi-national partnership that provides video equipment, computers and training, enabling marginalized indigenous and campesino communities in Southern Mexico the opportunity to create their own media. Awards grants to nonprofits that serve the gay/lesbian community. Promotes works that pushes the boundaries, defies commercial expectations and transcends the mainstream of independent filmmaking. The foundation gives priority to Bay Area film makers; to films or videos that will be used by Columbia Foundation-funded public-interest organizations to further their work in human rights and sustainable communities and economies; and to projects for which a grant of $5,000 to $25,000 makes a difference in getting the project started or completed. There are no cut-off dates for discretionary grants, they focus most of their grant-making in the areas of Peace & World Order, Population, and the Environment. Most of the Foundation’s grants for Culture & the Arts are discretionary grants ranging in size from $200 to $10,000. Accepting proposals for the Public Television Future Fund and are open to any project that addresses large-scale opportunities to increase non-federal revenues, create new operating efficiencies and improve the quality of service that stations provide to their communities. Postproduction grant up to $2,000 for films about dance. Supports humanities programs for the public sponsored by nonprofit organizations. Projects should foster an understanding of the humanities disciplines or apply the humanities to topics of public concern. Deadline: November 5, yearly and provides ARC (Artists’ Resource for Completion) grants which provide rapid, short-term assistance to individual artists in Los Angeles County who wish to complete work for a specific, imminent opportunity that may significantly benefit their careers. Provides facilities, training and consultation for independent filmmakers, producers, artists, activists and organizations working in video and other electronic media; as well as produces and distributes its own documentary films. Academy Award-winning directors Barbara Trent and David Kasper are available for presentations and screenings. Finishing funds (up to $1,500) awarded to individual artists and has presentation funds (up to $1,000) to organizations. Media Arts Technical Assistance Funds (Up to $2,000) to organizations. Supports public broadcasting and the independent production of film, video and radio programming, and supports efforts to engage diverse groups in work related to the media and to analyze the media’s effect on society. Committed to “informing Americans on the Israeli-Palestinian conflict and assisting in a peaceful solution that brings security for both peoples.” The grant making program provides support for organizations and individuals working toward a solution of the Israeli-Palestinian conflict. Supports lesbian, gay, bisexual, transgender, visibility through media arts. Established by Steven Spielberg, this fund is designed to support the creation of original documentary films and videos that promote thoughtful consideration of Jewish history, culture, identity, and contemporary issues among diverse public audiences. Focuses on three program areas: progress definition and measurement; animal advocacy; and socially conscious media. In each of these areas, the Foundation develops and pursues its own initiatives and also provides funding support to other nonprofit organizations. Advances and promotes new works of American political art, especially those efforts which speak to cultural and societal issues and include television, videos, shows, concerts, radio programs, and all artistic media. Contact Director Carol Parkinson for more information: (212) 431-1130 Deadlines vary. New Works Residencies deadlines November. Offers a Digital Media Arts Center to cultivate artistic talent using electronic technologies. Also offers various programs, production studios, grant opportunities, education, communal lab practice and distribution. Support for New England film/video makers for films with strong connection to community organizing work. Provides production funds for American indie docs; Cinemax Reel Life acquires completed docs or offers finishing funds for partially completed projects. They are especially interested in gay/lesbian issues. Grants up to $1,000. Win an in-kind donation of production equipment and services, valued at up to $85,000 for your next short film. Applicants must be IFP/Chicago members, and the film must be shot in the Midwest region. Mentoring and training program that provides young people with exposure, experience, and connections in the film industry. The program supports filmmakers from traditionally under-represented communities through mentorships, workshops, and screenings. Funding for development (up to $4,000) or production (up to $10,000). Projects must relate centrally and unambiguously to the humanities, have clear potential for reaching a large public audience and be made by producers whose work demonstrates imagination and technical skill. Seeking for documentary projects that address contemporary social issues. Through their general fund, they invest in 8-10 projects a year, and review projects year-round on a rolling basis. Various programs and support for video and filmmakers. Deadline for applications is usually March 1 and they offer an annual Hartley Film Award of $10,000 for production of a film or video which addresses subjects of relevance to the Institute’s mission, including consciousness research, mind-body health, meditation, creative altruism, and other areas. The annual submission deadline is May 15. Offers a fellowship and various support, including educational opportunities for filmmakers who are in the early stages of career development. Preference given but not restricted to those residing in Maine. Grant program for individual media artists living and working in New York City serving primarily film and video artists. Requests for proposals by invitation. Key executives: Partial support for selected documentary series and independent films intended for national and international broadcast; community outreach related to media; community-based media centers; and public radio. Projects are selected from those that focus on issues that fall within one of the Foundation’s two major programs: Human and Community Development or Global Security and Sustainability. Provides support for projects that “reflect or are intended to strengthen the economic, political and cultural institutions upon which the American heritage of constitutional government and private enterprise is based.” Provides grants in the areas of American institutions, law and the legal system, public policy research, and strategic and international studies through support of various programs including on occasion, television and radio programs. 1215 Heyburn Bldg., 332 W.
They are interested in presenting challenging independent dramas and documentaries to the Bay Area, looking for works that are truly independent, unique and fulfill a personal vision and they encourage Independent Producers to approach the station with their projects in development. Open call for proposals for programs to air on public television. The projects should center on themes and issues that are relevant to Latinos. LPB’s mission is to provide a voice for the Latino community throughout the United States with an equitable and accessible funding and distribution mechanism. Funds are given for projects, programs, and services that encourage “a positive interchange between the arts and the natural urban environment”, and may involve visual, media, performing and literary art. Contact: Lucius R. Eastman, Pres. Supports film/video on social issues. Awards grants for criticism and production. Any nonprofit organization may apply for a grant. The council does not fund individuals or for-profit organizations. The project must be a public program, the disciplines of the humanities must be central to the project, humanities scholars must be involved in the project, and funding must support projects that would not normally occur without council support. Deadline: October 1. Makes major grants each year to support radio programs, films and videos that explore humanities themes. Media grants are available in three categories: pre-production, production and distribution, in amounts over $5,000 and up to $15,000. Assists NYC artists and nonprofit organizations in using state-of-the-art equipment and post-production facilities at reduced rates. A community website that helps media makers, educators, nonprofits, and activists use documentaries to encourage action and inspire dialogue on contemporary social issues. Grant applications are reviewed on a rolling basis, so applicants who submit proposals early in the year enhance their likelihood for funding. Provides Media Grants to support humanities projects in radio, film, video and multimedia. Support for New England filmmakers. A nonprofit association composed of diverse member organizations who are dedicated to encouraging film, video, audio and on-line/multimedia arts, and to promoting the cultural contributions of individual media artists. Seeks engaging and provocative project proposals from independent media producers. Encourages works that address contemporary issues, reflecting the growth and change in our communities. Nonprofit national media arts organization dedicated to the funding, promotion, presentation and distribution of quality Black film and video projects. Through their annual Request For Proposals (RFP), NBPC seeks contemporary films about the Black experience for the National PBS Schedule. NEH is an independent grant-making agency of the U.S. government, dedicated to enriching American cultural life by promoting knowledge of human history, thought and culture. Priorities include subjects of national significance, projects geared to diversified audiences, collaboration with other cultural organizations, and the use of multiple formats or interactive media technology. implementation and production. The Fund is designed to support the creation of original documentary films and videos that promote thoughtful consideration of Jewish history, culture, identity, and contemporary issues among diverse public audiences. Grant size: $20,000-$30,000. Supports media projects designed to deepen the appreciation of science and technology and the understanding of the impact science and technology has on today’s society. Projects generally develop materials and programs that reach large audiences and have the potential for significant regional or national impact. This fund is to assist in increasing the public’s awareness of and access to independently produced media & film and video as well as motion media delivered through new digital technologies. Commissions and publishes research on issues of concern to independent media makers, distributors, educators, activists and individuals. They supports program ideas that bring new perspectives on Native American cultures to public television audiences, increasing the quality and quantity of Native American television programming on a national and international scale. Oppenheimer supports new filmmakers in producing their first serious film project. The grant awards the use of their Grant Program Arriflex 16SR camera package to senior and graduate thesis students and to independent filmmakers for a scheduled period of time. Proposed projects may be of any non-commercial nature: dramatic, narrative, documentary, experimental, etc. Company of the Independent Film Channel, provides finishing funds and serves as a producer’s rep helping filmmakers implement festival and press strategies and secure distribution and has expanded its focus to include documentaries. The World Press Photo Digital Storytelling Contest rewards those producing the best forms of visual journalism enabled by these changes. The contest is open to digital storytellers, visual journalists, producers, and entry coordinators, with submissions that include the work of a professional visual journalist.